Read But Never Red » Read But Never Red » Christmas comes early for City’s rivals…or has it? With eight wins and one draw from nine games, 29 goals scored and just three conceded, it seems the football Gods decided it was all going a bit too well for Manchester City. From potential goal scoring record breaker to painful rib breaker. We had anticipated running this image for all the right reasons, but it’ll re-emerge when the time is right. Graphic by Stiz of the BlueRoom. 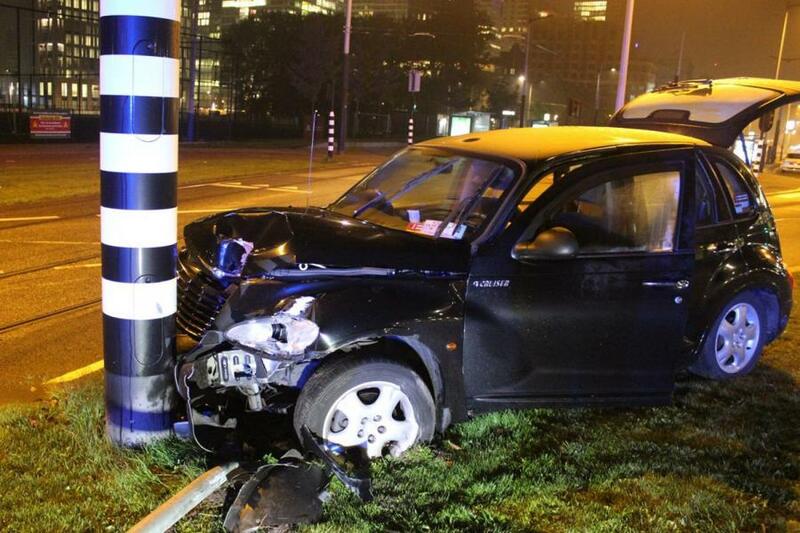 48 hours after motoring to the top of Group F with their first ever 100% start following two opening Champions League games, an errant taxi driver somehow managed to drive Sergio Aguero round the bend and straight into an unforgiving Amsterdam lamppost. 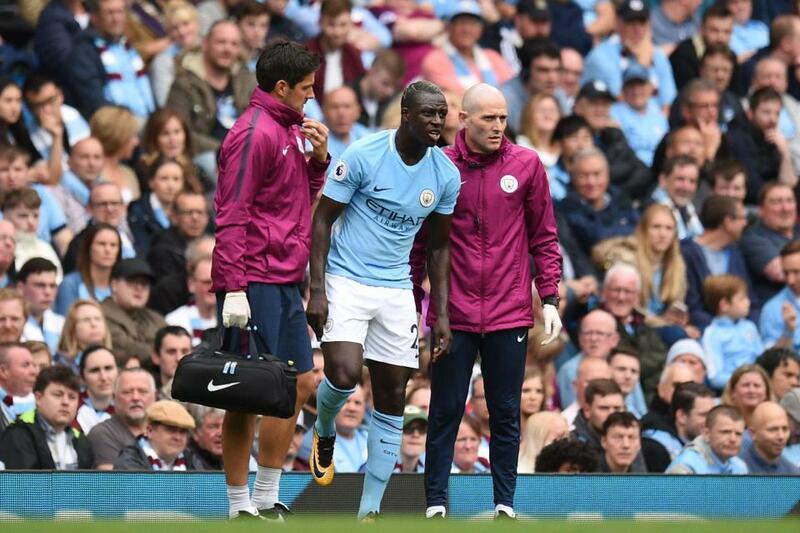 The accident came hot on the heels that Benjamin Mendy had lost his own version of the Battle of Wounded Knee, and would be sidelined for the bulk of the season. Damn near close thing in the Dam! Sergio sustained a broken rib(s) in this smash, but thankfully lived to score another day. City’s dream start to the 2017/18 campaign had suddenly become an injury nightmare and Christmas appeared to have come early for Chelsea, Manchester United, Tottenham and anybody else with Premier League winning pretensions. Fair to say Pep Guardiola’s Blues have been dealt the proverbial kick in the ‘spherical objects’ or, to be more precise, Sergio Aguero’s ribs, Benjamin Mendy’s anterior cruciate ligament and, lest we forget, Vincent Kompany’s calf. Mendy is busy mending after surgery in Barcelona today. Quick recovery please Team Shark Blue Leader. While we all absorb the shocking news about Aguero’s accident, bemoan Benjamin’s bad luck and indulge in conjecture about Kompany’s supposedly ‘minor’ calf injury (the City captain will have missed seven club games since the last international break) we should take solace that all three can still contribute to what promises to be a highly significant season. With City’s goal scoring record in Sergio’s grasp it’s so easy for us to take things in life for granted. We said ‘Only a Matter of Time’ but time so nearly ran out for Sergio after his taxi smash in Amsterdam last night. Brilliant bespoke image created by Stiz from our BlueRoom partners. 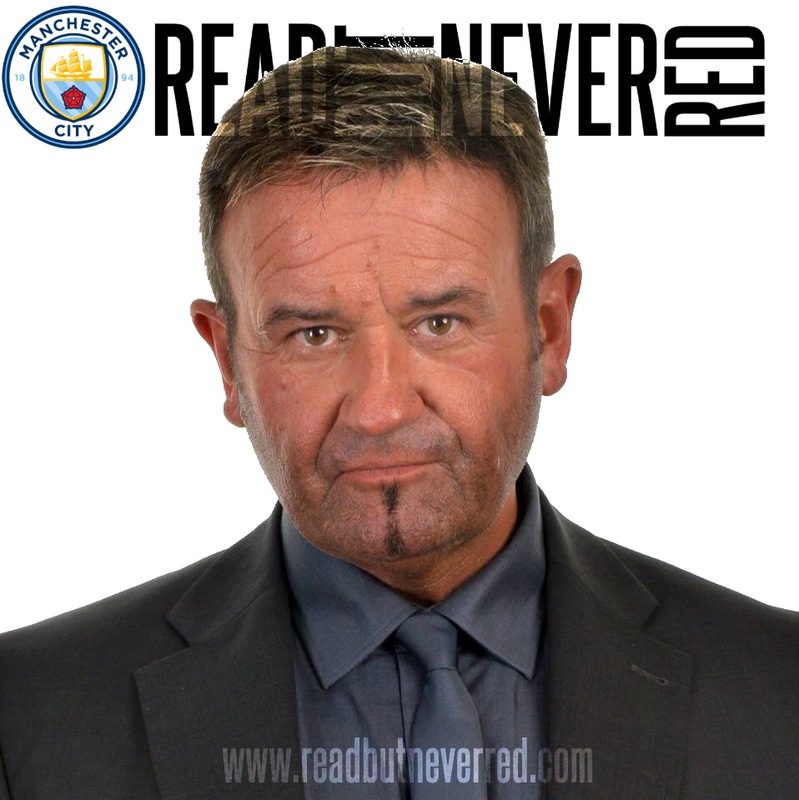 Read But Never Red produced a graphic stating ‘Only A Matter of Time’ before City faced Crystal Palace but, had he not been wearing a seat belt last night, time could’ve easily run out for Aguero. Let’s just count our blessings Sergio survived and will recover over the next few weeks. In the meantime it’s down to Jesus, Sane, Sterling, Silva, Bernardo and De Bruyne to keep City’s goal-fest going. 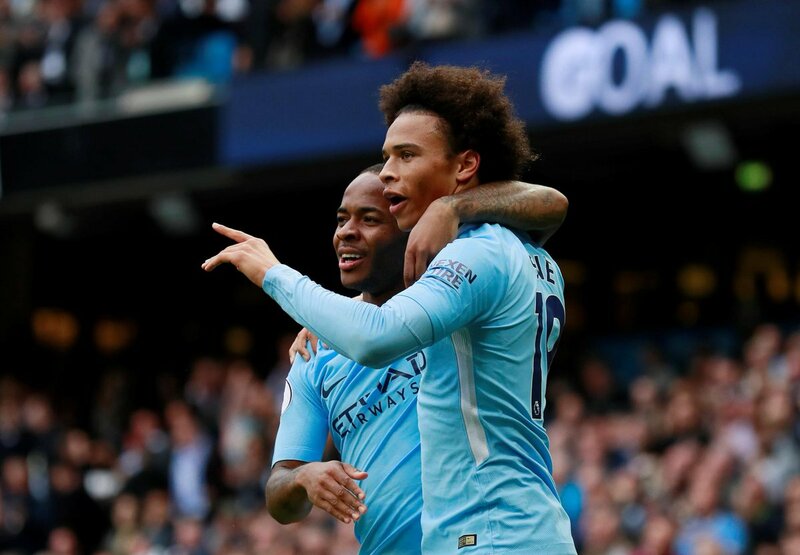 Sizzling – Sane and Sterling are on fire at present. Let’s hope they can keep burn Chelsea on Saturday night. Sane, Sterling and Jesus have so far scored 16 of City’s impressive goals haul. It wasn’t that long ago that Pep was seemingly toying with the idea of the trio edging ahead of Sergio in the selection stakes. Pep’s hand has now been forced by Aguero’s absence, so could the triumvirate work to City’s advantage, with their pace, movement and interchanging of play? Clever Kev – De Bruyne strikes a beauty to break the deadlock against Shakhtar Donetsk. 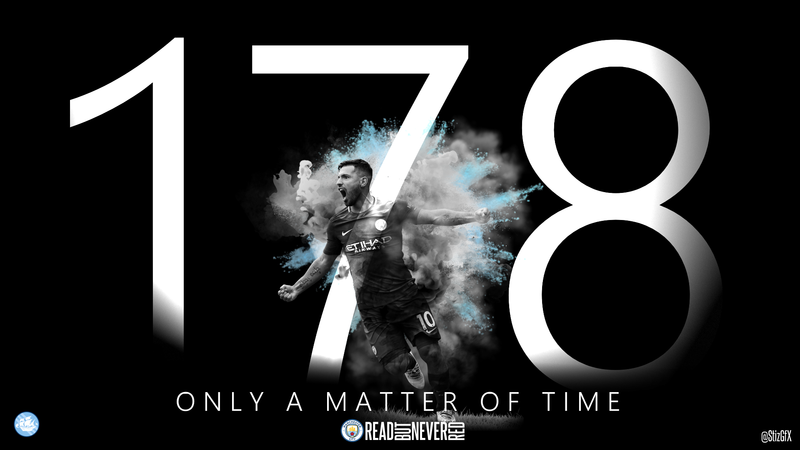 Aguero has more than shown Pep that he remains an integral part of City’s present and foreseeable future, but for now there’ll be a renewed emphasis on blistering speed from a front three, with a combined aged of just 63 years. There’ll be few sterner tests than playing the Premier League Champions away, but backed by the creativity and guile of David Silva, Kevin De Bruyne and Bernardo Silva, Guardiola’s young guns should have an ample supply of ammunition. Guile, creativity and magic – Bernardo, KDB and Merlin can supply the ammunition for City’s young guns. The return to fitness of Ilkay Gundogan and keeping him that way, will also be pivotal to City’s ambitions and objectives. On his day the German midfielder can exercise a profound influence on any game. It’s worth remembering that even when injured in the summer of 2016, Gundagon was Guardiola’s primary transfer target. Man down – Gundagon was the victim of a malicious tackle at WBA, but he’s back now and raring to go against Chelsea. One player who was a million miles away from top billing in Guardiola’s thoughts was Fabian Delph, another player beset by injuries and one who could so easily have gone to Stoke last month. 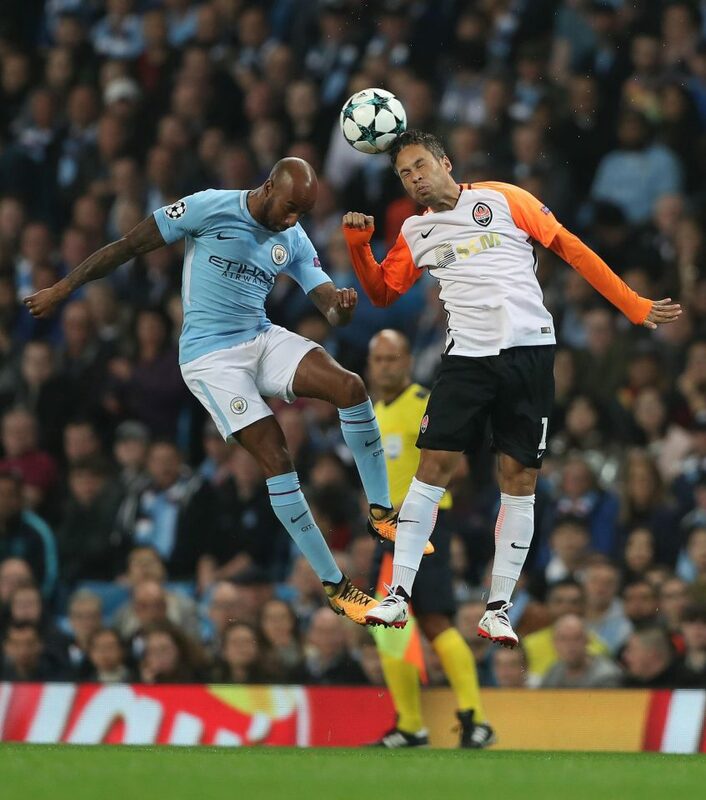 A bargain buy from Aston Villa in 2015, Delph has suddenly emerged from the shadows, striking a wonder goal against Palace and then stepping into the breach with a Man of The Match showing against Shakhtar Donetsk in place of the missing Mendy. Fabulous Fabianho! -Delph could be an unlikely City hero this season. It’ll be totally lost on most pundits that Jesus, bought for £27m and Delph at £8m, could prove adequate replacements for Aguero – valued at £80m and Mendy at £50m – in a run of vital games. Sergio could be back before the end of October, but Mendy is out until April. Nonetheless, can you even begin to imagine City being praised for their astute dealings in the transfer market? No, me neither. If City can maintain their strong domestic title challenge and progress through to the Champions League last 16, without some of their most influential stars, it’ll be a huge validation of Guardiola’s management and the quality of City’s squad. When you score a ‘worldy’ – Delph takes the acclaim of his City team mates after his goal against Palace. Of course Kompany’s return sooner rather than later, will be a big boost to a defence so often scrutinised and criticised, but one that has only leaked three goals in nine games. Whereas it seemed City’s skipper had finally shrugged off his susceptibility to calf injuries, he was once again stricken while on international duty earlier this month. 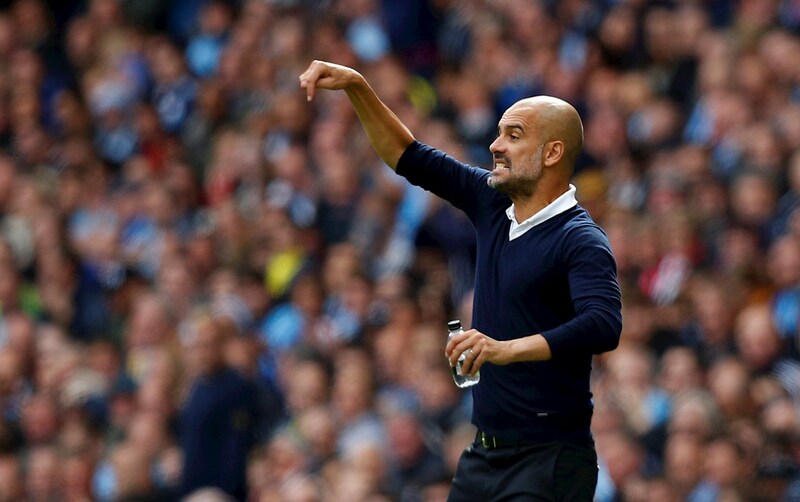 Pep dilemma – What can Guardiola do to try and keep Kompany fit for Manchester City? Quite what happens with the Belgian team must drive Kompany and Pep to near madness, but history just keeps on repeating with Vinny being a casualty while serving his nation’s cause. If he has any ambitions to win a contract extension at the Etihad, Vinny will surely call time on his international career after next summer’s World Cup Finals? Stepping Up – John Stones is having a great season with City and looking far more accomplished. Perversely in Kompany’s absence, John Stones has improved markedly with better decision making, knowing when to bring the ball out from the back, and equally as important, when to whack it away from danger with no frills attached. The fact he and Nicolas Otamendi can concentrate more on their central defensive duties and less on covering for ageing full backs, has also contributed to the stinginess of City’s backline. 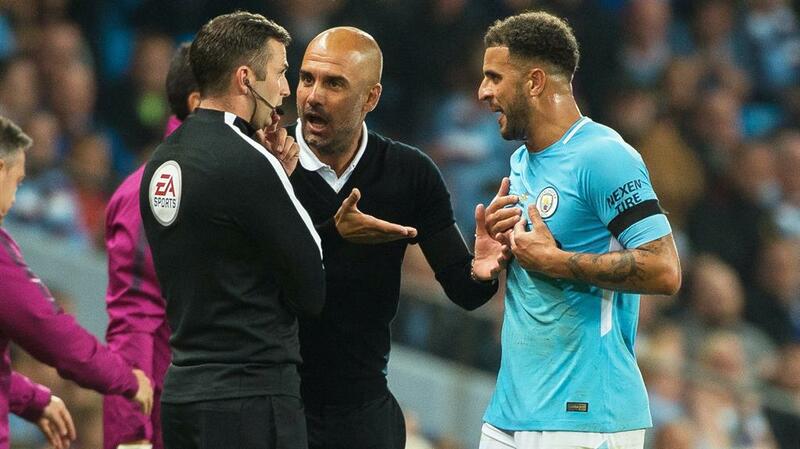 Kyle Walker has been a big hit this season despite being wrongly sent off against Everton. Kyle Walker, Mendy and the adaptable Danilo have already proved their worth at a time when all the City detractors questioned Pep’s investment in full backs. Conversely, when Mendy is sidelined, you get idiot journalists casting aspersions as to why City didn’t buy more full backs? Damned if they do and damned if they don’t, City can never win over some jaundiced journos. Equally, the confidence inspired by Ederson as the last line of defence cannot be overstated, with the young Brazilian already showing signs that he will mature into one of the finest keepers in world football. Big Ed – City’s new keeper has more clean sheets than a Chinese laundry and is performing brilliantly. It’s no coincidence that his performances have echoed the noticeable silence of the ‘Bring back Joe’ Brigade this time out. As for staying top of the table, if City can rectify the miscarriage of justice perpetrated upon them when Chelsea’s 12 men (11 plus PGMOL’s most famous ‘Altrincham fan’) won 3-1 at the Etihad last December, it will be a significant achievement at this stage of the season. 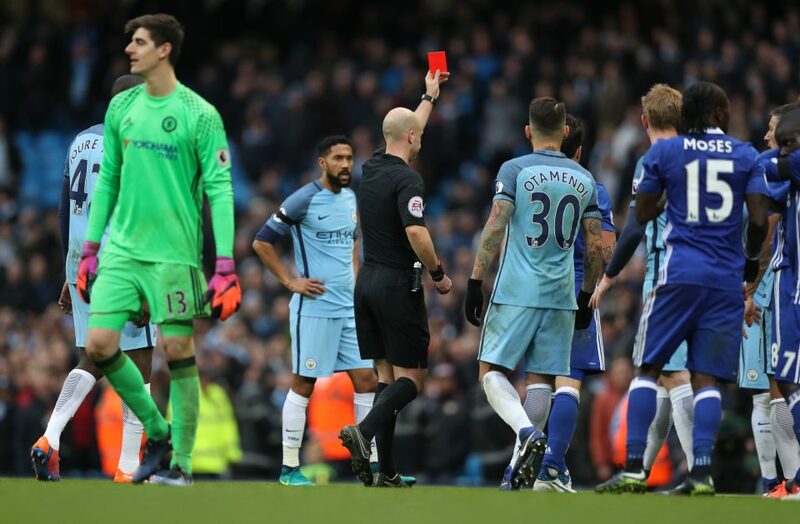 Chelsea’s 12th Man Anthony Taylor played a blinder with numerous assists when City lost 1-3 at the Etihad last December. In referee Martin Atkinson, City arguably have the best of a bad PGMOL bunch officiating – a statement that could come back to haunt me – so at least it might be XI v XI for once. Chelsea pose a real threat and media talk of the title being a two horse race between the Manchester clubs is rightly dismissed by Pep. Get netted – Sterling already has half-a-dozen goals to his name this season. The defending champions have only lost once this season – an opening day ‘freak show’ against Burnley – and looked mightily impressive winning away at Atletico Madrid in the Champions League. A win or even a draw at Stamford Bridge, especially when missing three key starters, would be a very positive result as we head into another of the odious international breaks. 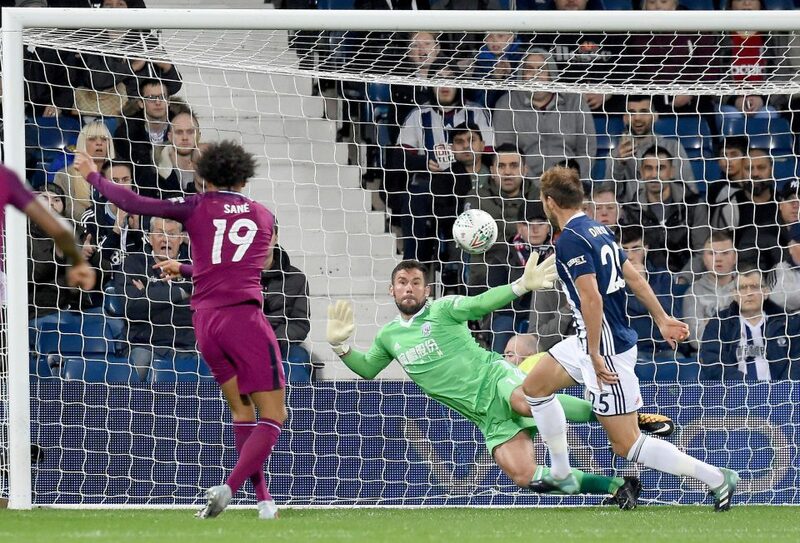 Open and Close – Sensational Sane scored both City’s goals in a gruelling cup tie win at WBA. 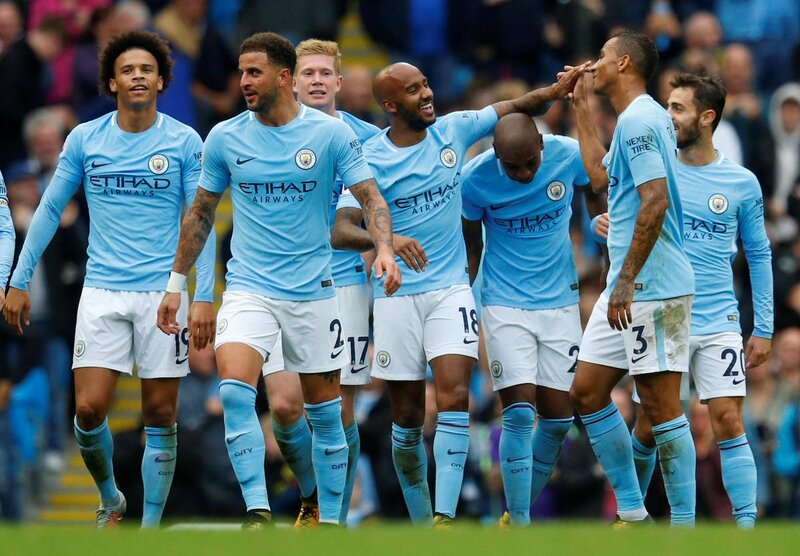 Mixed in among all City’s champagne football have been two very noticeable ‘battles’ – a physically gruelling encounter at WBA and a technically challenging match-up against Shakhtar – where skill, resilience and self-belief saw them through. 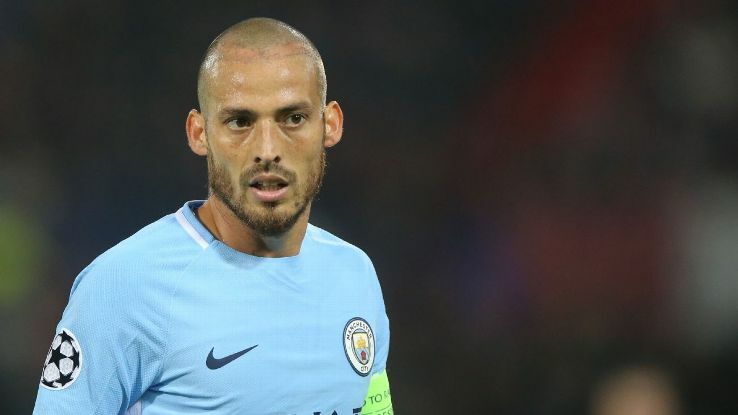 Aye Aye Captain Silva – Merlin needs to keep City in winning ways at Chelsea. If City are to maintain top spot before their next Premier League action against Stoke on October 14, they may well need all of that and a bit more on Saturday evening. All part of the anti-City media agenda Stuart - trying to make mischief. I think so as well MG. I noticed that anti city media were in full voice claiming Aguero broke the rules. What arseholes they are. All three will be missed but we have the squad now to hopefully cover the losses. Bernado Silva could well be the man to step up. The media will seize on any opportunity to try and invent trouble. I love the way Pep deals with them in his press conferences - with the contempt some of the idiotic journalists deserve. The breaking news is that Sergio could be back as early as late October - now wouldn't that be a bonus based on where we thought we were earlier today? Thanks Doug. Following up the recent posts about Aguero not getting pfa player of the year in the past, this accident has blown this year for him. Whether due to the games missed or people going on about whether he should have been out two nights before a game and abroad etc. It's been a rubbish week for losing players, let's hope it doesn't get worse at the weekend. It certainly has been a horrible week for losing influential players, but we have the strength and depth of talent to still go to Chelsea with high hopes, We should've buried them at the Etihad last season and I seem to remember Mike Dean giving Chelsea just about every decision he possibly could in the return fixture. As for Sergio, if, as we're led to believe, he could return by the end of October, he will still be a leading light in a glorious City season. I'm sure he'll settle for a third Premier League title and the odd cup winners medal this year above any personal accolades. Right on DW. We are still so rich with talent despite the setbacks. I hope the lads saw Hazard's mocking of Raheem and shove it up em! I've not seen Hazard extracting the urine out of Raheem. As if we don't already owe those b@st@rds big time already after the crooked officiating at the Etihad last season. Beating the champions on their own turf will be oh so sweet, even more so without three of our star men. Let's hope Pep and the boys can do it. Spot on as usual David. Delphi was excellent the other night however Pep may opt for Danilo's pace to counter Willan/Hazard threat? I think Bernardo looks real quality and he could just be the man who steps up in Aguero s absence. Either way a day celebrating my beautiful grand daughters birthday and a city win would be just perfect ? Let's hope a great day becomes a totally awesome day by the time we reach the middle of the evening - family first and City a very close second...with Chelsea nowhere to be seen. As ever, thank you. Zinchenko and Adarabioyo. Pep will deserve Manager of the Year if we do it from this situation, but it could have been made much more likely an outcome. Pep was always going to put the emphasis on quality rather than quantity and in all fairness City had wanted to bring in Bertrand from Southampton, perhaps Van Dijk as well at one stage, before the Saints started asking for Monopoly money and/or exercised their prerogative to retain their players. Dani Alves of course, threw a spanner in the works when we missed out on the despicable, double-crossing SOB, when he reneged on his word to Pep, forcing us to spend £26.5m on Danilo. Agreed we still need a capable left back as Mendy's understudy or to rotate at left back, and centre back will surely be a priority as soon as City feel they can sign a really top quality central defender. Kompany is great when fit, but obviously no bloody good when he keeps getting injured on international duty. Stones is shaping up well, whereas Otamendi is painfully slow, albeit he can be combative and effective. Mangala is at City by default and Tosin is still yet to gain the experience and the jury's out. I would say City need two central defenders and a left back as priorities, plus another striker whenever the right players become available. Van Dijk would be good, unless he's desperate to go to Liverhampton, but who else. As for left back Danny Rose would be great, but won't want to be second choice to Mendy. City are being linked with Espanyol's young Spanish LB Aaron - great Latin sounding name! Obviously the clever money is on Sanchez from Arsenal in January of next summer. Thanks for your extensive feedback Dave - I still reckon Pep will deserve Manager of the Year, but like Mancini and Pellegrini before him, City managers don't win individual awards, even when their teams are the Champions of England. Sergio’s accident could have been a lot worse & at least the news on his recovery is better than at first thought - I just find it a bit bizarre that after chartering a private jet to fly to Amsterdam he ended up in the back of a Chrysler PT Cruiser cab rather than a chauffeur driven limousine to and from the airport. Nice to see some of the twitter responses to idiots such as Richard Keys who queried what would would have been said had Rooney been involved such an accident. Typically inane and missing the point that Sergio was on his own time and was NOT driving or over the alcohol limit etc. Berk. The journos attempts at trying to create an issue over Agüero’s actions were just as shallow and infantile as we have come to expect from the Fouth Estate. A point of note - Eric Brook’s football career was cruelly cut short at the age of 32 when he suffered a fractured skull in a car crash. 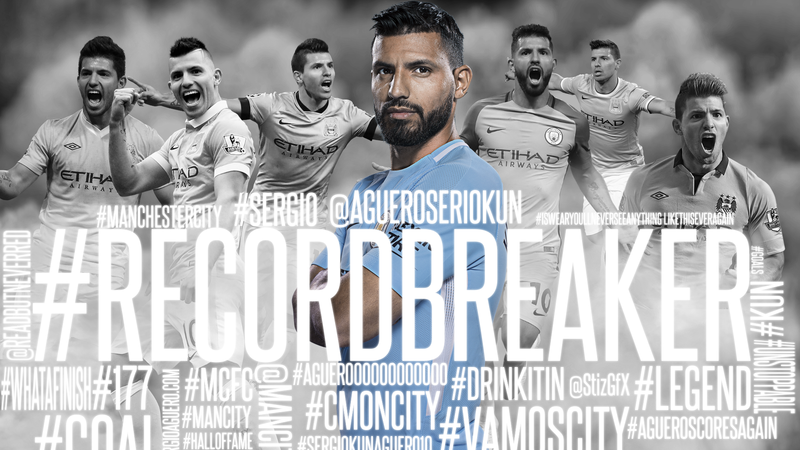 One wonders how many more goals he would have scored and how much further Sergio would have to stretch to surpass his record. Looking at the accident scene the outcome could have been so much worse for our current leading scorer. He will return and he will break that record. Heal quickly Sergio. Great comments Kieran and I'm in 100% agreement - the way the jerk journos were trying to create a division between Pep and Sergio was pathetic and less than subtle. Aguero is effectively blameless on all fronts, but as you say the dodgy taxi wasn't in keeping with a private jet to and from Amsterdam. As for all the mischief mongers such as Keys and other imbeciles, they only serve to make themselves look even more stupid in pursuit of their warped agendas. I'd previously written about Eric Brooks and how the car crash in 1940 ended his career. He was one helluva player by all accounts and one who was seemingly discriminated against by the FA because he played for City - now why does that sound familiar? Thanks for the feedback. Too true about Manager of the Year! Simple rule: it goes to the title winner unless City win it! After yesterday Christmas may be cancelled for. our rivals. That was footy in a new level, with Chelski chasing shadows as the game went on. When we think we have problems players come and step up - Delph for instance. Would think that Ederson has now "killed off" the Joe Hart debate, confident, decisive and superb distribution. This is certainly a great wet Sunday ! It was a stupendous showing by City, especially when you consider no Aguero, Kompany or Mendy, all of who, one would assume would make us even stronger. 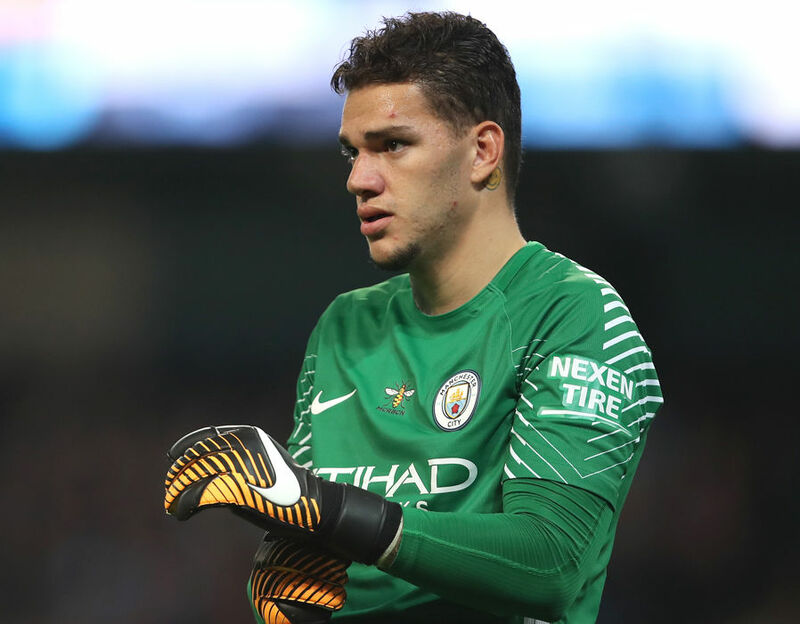 It's early days, but I can envisage Ederson progressing into the next 'Neuer' with both is technical ability, distribution and his physical presence and authority. That said Delph continued to be a revelation and the triumvirate of Jesus, Sane and Sterling pressed and worked brilliantly. KDB was sublime and David Silva was, well, David Silva. I just need to make the time to write the next RBNR blog to do that wonderful performance justice. Thanks RC. 130 ARSENAL 0 MAN CITY 2 – Priceless...even at £62 a-head!